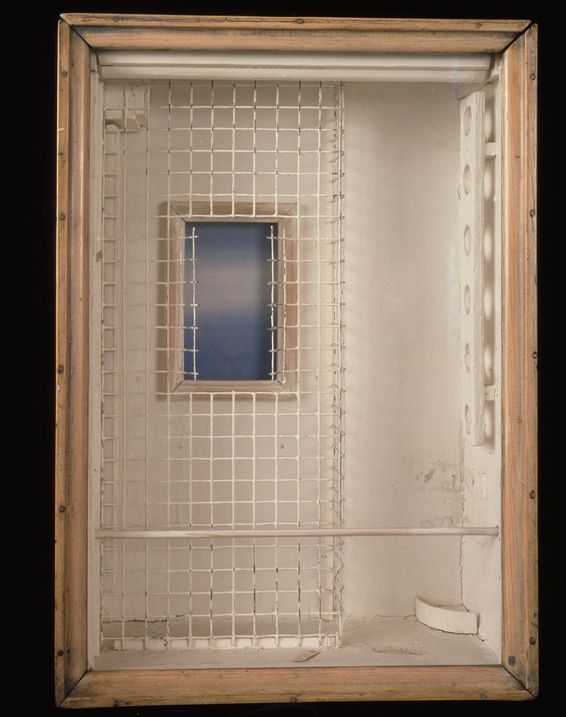 Richard: Except in a broad sense, I don’t see autobiography in Cornell’s work. He did not travel much outside Flushing, New York – he was a carer for his brother and mother, and a lot of biogs refer to his reclusiveness. So, I think a lot of the boxes are products of isolation – they spring from a yearning to escape the day-to-day routine. Although some titles refer to specific events or people, I don’t think Cornell had any connection with many of them beyond fantasy. For example, I Googled Tilly Losch – she was also known as Ottilie Ethel Leopoldine Herbert, Countess of Carnarvon (she was a dancer, choreographer, actress and painter). David: Not ruined… but it does rather make Cornell’s work (and a lot of other art) a sort of fascinating by-product of unhealthy emotional conditions, like a geological specimen or mutant plant that occurred only because of a freak circumstance. It is not degenerate art, neither does being emotionally unbalanced make you creative. Sometimes though, a combination of a creative person and severe emotional repression results in the creation of works that can contain and embody that displaced love and energy. This does make the work quite escapist: inside the box you are in a wondrous place. If you don’t completely escape with Cornell into the box though, you are left outside it dissecting a bunch of obscure images and objects that may have no connection other than the aesthetic. Although some of the works did draw me in, some of them left me out in the cold and I wonder whether that might have been to do with the way that they were displayed. The very clinical mounting of the boxes inside display cases made them feel very dead and the hard top lighting was also unsympathetic, with the top of the box frame often casting a very hard shadow over the contents and detracting from the composition. Do you think they might have benefitted from different staging? The show could have boldly remade the gallery as an archaic apartment or some other non-artworld place rather than the standard paint it white and put it all in order approach, which was what we got here. There are works that don’t work at all for me either – and I’m not sure if it’s just the lighting. Could the images and materials Cornell used be too far removed in time and cultural association to chime with us in the twenty-first century? David: I’m not sure they are too far removed in time, but it may be sometimes that the objects are a bit too curious in themselves. It could be that those things like clay pipes, jars of gold pigment and butterfly wings etc may have been more commonplace back in the middle of the last century but I doubt it. These objects were not part of the common vernacular like a Brillo box or can of soup. They belong to a world that is a deliberate illusion, looking back at those theatrical magicians of the past – the alchemists whose biggest secret was that they had no secret. The objects seem very deliberately chosen to evoke this world. Pharmacy(1943) seems clearly to reference this tradition. The danger is that these objects are very loaded and can overpower a lot of the more subtle formal elements in the work. This is not a problem unique to Cornell, and he does seem to have been aware of it and often eschews the more outlandish curios in favour of a more restrained palette of objects. In Toward the Blue Peninsula: for Emily Dickinson, c. 1953. Cornell manages to evoke a very intense emotional space with just a few relatively abstract forms. I think the more image based objects are a bit of a smokescreen and for a long time put me off his work to tell you the truth, but he clearly is superior to those artists who are just making endless montages of found objects. 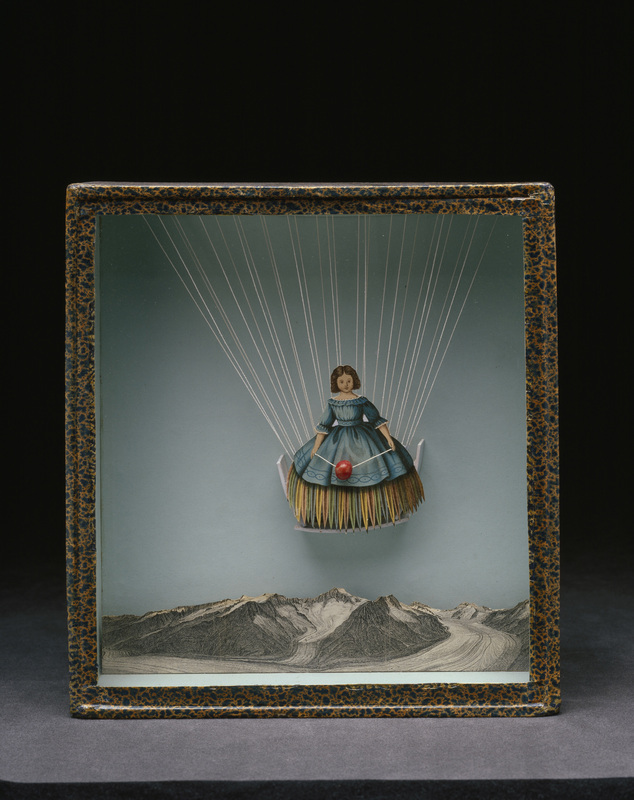 This entry was posted in American, Modernism, Surrealism and tagged 20thCentury, American, Art, Collage, contemporary art, Cornell Box, Joseph Cornell, Modernism, Painting, Sculpture. I really enjoyed this discussion. Seems to me that the person these were made for was Cornell, and the rest of us are just seeing the shell of what they mean, unless some one or the other of them makes a connection, and then it’s ours, a little bit, too. I’m not making sense. I just feel that analysis of this kind of work can’t go very far – it’s so personal? I agree that the museum gallery presentation seems wrong for them. But I think that about pretty much any artwork. I always try to imagine them in someone’s home, if I can. Thanks for this post. Made me think. Hi Claudia and thanks for the comment. I agree that Cornell’s work is highly personal and introspective, but he must have made them to capture and evoke a feeling or thought. Looking at almost all pictures you are either drawn into them or left outside them looking at the shell- or just the content without the meaning. 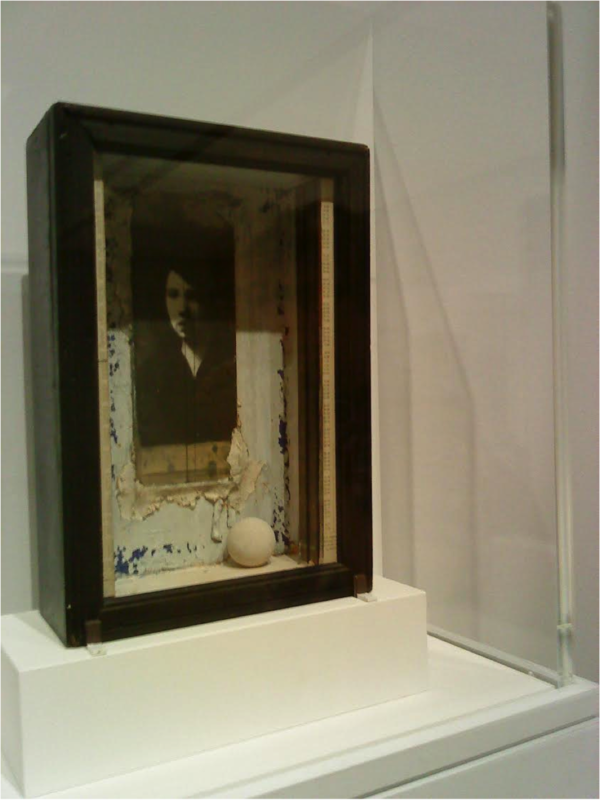 Because of the way Cornell presents his work in the boxes this is especially true of his work. For me talking a bit about my responses to the work helps me to look harder at it and to crystallise my thoughts about it. Hope you stop by for the last part on Sunday! Great discussion. I’m glad to have more background information about Cornell and the isolation in which he lived. I like your considerations regarding the impact of the display and lighting. What a fantastic idea to display them in an old apartment. Yes, yes, yes – so many great comments here, form those about the relationship between unhealthy emotional lives and art (not necessarily equivalent!) down to the presentation. Imagine what these looked like in the space where they were made. Not that I’d want to try to recreate that, but the lighting, for starters, was probably much more sympathetic. And when you think of all the – excuse me, schlock, that’s out there these days, work that’s collage-based or various accumulations of found and made objects, then you see the Emily Dickinson piece…clearly Cornell was creating some great work.